The first time I saw this book in NetGalley I got curious right away. I feel like reading it just to get away from my comfort YA zone but this book surprised me. I got hooked on it. I read the book and never stopped, since I was busy at work too I really made time finishing this like one hour per day or two. It's really that interesting. Another thing is the cover of the book. It is simple yet appealing. I like how it was designed. It is actually good in my book collection though... PERFECT! The story of the book at first was scary and interesting at the same time. It was scary for I really don't know what it was on the very first place (that's what you get when you are not reading the blurb LOL). But anyways, I just got scared for some interesting reasons, one is that the people here are scientifically aware of what they were doing to the students, so what I mean is that the book isn't just YA but it has also science and psychology topics involved. It was just awesome. The characters of the book are all like guinea pigs, they were tested by people in the school. 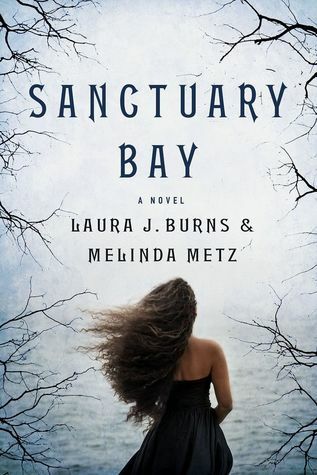 That's where the book become more exciting, when I, the reader found out the truth about Sanctuary Bay. I really should suggest that people read this one. Well all in all... it was mind-blowing!!! I felt like I'm with them and got crazy too. just kidding. Also, it was heart-stopping, in the near ending I knew they weren't finally free but I didn't expect the twist of the story.